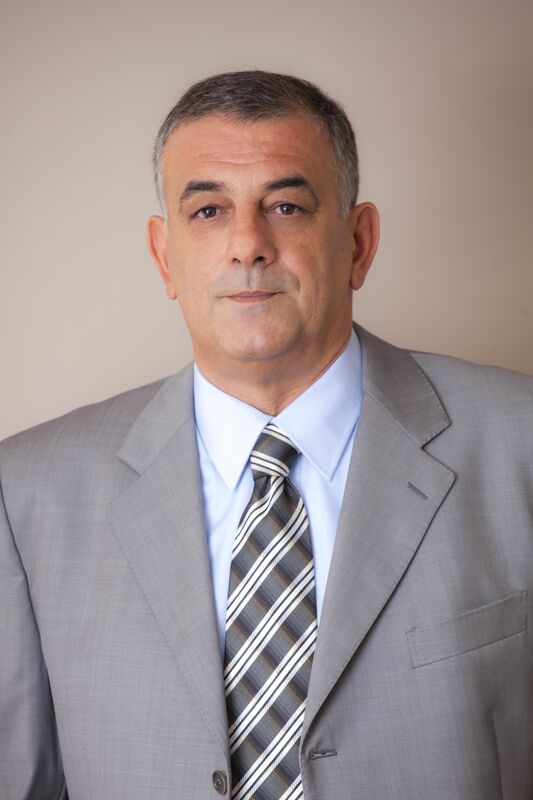 Sanjin Šolić, CEO of JADRANKA d.d. Q: As a long-term employee in tourism we are interested in how the industry has changed over the last twenty years and what has had the greatest impact on this change? The tourism industry over the last twenty years is characterised by enormous change. When talking about generators of this change, we should first of all point out economic development, a growing level of education and a general prosperity increase. These trends have resulted in a transition towards post-materialist social values ​​of the ‘experience’ economy, during which the concept ‘to have’ has been replaced with the concept of ‘to do and to experience’. Added to that, we should not ignore processes such as urbanisation, changes of relation towards family and work, and maturing of the young, ‘technological’ generation. These changes generate new behaviour patterns of ‘new tourists’, so they turn to authenticity and local identity, and to the activities and experiences that contribute to learning and personal development. Q: What is your vision of tourism in Lošinj in 2020? The tourism of Lošinj is turning towards the concept of sustainability. In that sense, I also see Lošinj in 2020 as a tourist destination that meets its development in a way that doesn’t threaten the future for the coming generations, while ensuring the quality of life of local residents within the existing system. In doing so, it seems that the destination brand of Lošinj as the ‘Island of Vitality’ has the potential to become not only a promise, but a real experience of life energy and a good feeling that comes out of a preserved and healthy environment, a dynamic cultural scene and a quality tourism offer. Q: Your company, Jadranka d.d., is responsible for the tourism revival of Lošinj. How did you manage to change your company through privatisation from a gigantic socialist enterprise into a modern tourist company? It was difficult and gradual. However, I must emphasise that this process is not yet completed. We need to do much more in order to really ‘deserve’ through our way of management the benefits of the resources we are leaning on. By this I primarily mean the need to further improve the skills and abilities of our management at all levels, insisting on increasing the potential of human capital, not to point out in particular the areas of improving our products, market recognition, and improving business processes. Q: On Lošinj it is believed that your company is a kind of “mama” of tourism development on the island. How is your company otherwise connected with Lošinj? We are certainly not the ‘mama’, but we are for sure an important factor in the development of the town. The importance comes out from the fact that, of course, we ourselves achieve a significant traffic of tourist and commercial services, but also from the fact that our customers use the products of the entire destination, and the fact that Jadranka employs, directly and indirectly, a large number of local residents. But, I want to emphasise that for Jadranka the concept of social responsibility is not just a slogan that we wave about, but it is the way of doing business we have entered into our mission and which is reflected in each of our business and development stages. This reaches from the fact that we approach all our investments in a way to be sustainable to the fact that with our offer we directly support the positioning of Lošinj on the tourist market and thus strengthen the market position of all of the participants of Lošinj tourism, both large and small. Of course, we are always participating and supporting the developmental ventures of the town as well as supporting a variety of local organisations. Q: With the rise in categories of hotels present and the expected renovation of the hotel Bellevue, Lošinj is becoming more attractive for more demanding guests. How are you going to actively attract them to the island? This is the question of all questions. It is simplest to invest in the outlet, in the building, no matter how hard it seems to secure funding for such a project. Much slower and much more difficult are the ‘soft’ changes, changes in business processes that must respond to the demands of these new customers. That’s why I just said and emphasised that there is still a lot of work ahead of us for everybody. Already at first glance changes are necessary in marketing activities, because we must ‘break’ new market segments. Changes are also needed in operations, because in a ‘profitable enough’ way we must respond to new expectations. And here we primarily need activities to improve the existing staff management through various programmes of ‘continuing education’, but also through the acquisition of professionals for certain areas. In the case of Bellevue, that is certainly the area of medical tourism with which we want to achieve a significant breakthrough, not only in Croatia but also in the wider region. Q: In your opinion what inspires today’s tourists? Of what type are the tourists who come to Lošinj? I think that today’s Lošinj visitor is becoming more and more a customer of experiences and adventures. He tends towards physical and intellectual improvement through new skills, education, health. First of all the visitor is informed, picky, critical and puts emphasis on quality, while choosing value for money, and not necessarily prices. Already today we see such customers, and I’m sure that the described features will be even more important in the future. Q: Who is your main competitor in Croatia and what makes Lošinj different from the more cosmopolitan Hvar? I could mention on a simple level all prestigious locations of Istria and Kvarner, and certainly some in the region of Dalmatia, but I don’t want to think that way. Jadranka and Lošinj will look for its market position in differentiation and segmentation starting from the key features of available resources. In this sense, we don’t look at every strong destination or company as competition, but as an additional strength of our market position and additional strength to Croatian tourism, which will then contribute to further improvement of all of us. In doing so, the concept of sustainable destinations and established destination management become necessary and inseparable facts which must ensure to Lošinj and all economic entities, including Jadranka, the desired specificity based on excellence, authenticity, sustainability and collaboration. Q: Croatia is becoming strong also in the field of congress tourism. How is this area addressed is your plans? Congress, or in general MICE tourism, is an important orientation for us. At this moment we are primarily oriented to meetings and smaller conferences, no matter if these are conferences of associations or companies. But we are sure that this is just the beginning and that we haven’t taken, not even closely, the advantage of what this product can provide. Primarily, as a key constraint of MICE tourism development I see the accessibility of the island, and then we will relatively quickly be able to infrastructurally and in terms of employees adapt to the new demand. In this sense, we have already started to consider the possibilities of improving the functionality of the airport, which would enable us to seriously deal with different segments of business tourists. Q: With what can Lošinj convince congress organisers? Given the difficult accessibility I wonder with which attributes can you convince congress organisers to go for Lošinj? You are again indicating the problem of accessibility. Therefore, in this aspect improving the connection is a prerequisite to becoming equal with the main competitors within that product. But once we become equal, then our attributes, such as quality hotels, service excellence, environmental protection, cultural offer or desirable portfolio of other products can be a crucial factor. I am sure that the emergence of a new destination that can fulfil a given and expected promise carries a competitive advantage. Q: What are the results of this year’s tourist season? How about projections for next year? The results are good. We achieved both the increase in revenue and operating profit with all our daughters. I have to emphasise again that the results are a reflection of significant investments in physical facilities, but also investment in staff. When I said that we have achieved good results, I think it was clear to you that I have a clear picture of possible improvements in front of me. By this I mean to strengthen the market position and market recognition on one side and improving the operation on the other side, which should result in further revenue growth, but what is more important is increase of return on investment as the key assumptions required for continuation of the investment cycle. Q: If Mr. Šolić had not been CEO of Jadranka dd , what would he be dealing with? Q: What counts today in the industry? What makes you appreciate your colleagues in the business? I think we all have to turn towards collaboration and innovation, even inside our houses, and at the destination level, but also at the level of the sector and economy. I think those are the key features of modern managers who wish to remain so. Concert: B.B. KING Zagreb 1980.